Disclosure: This post is sponsored by Cedar Fair Entertainment Company in conjunction with Blog Meets Brand, and I have been compensated for my participation. I was paid to share some of our experiences for the #KIFirstTimer, but was not required to write a positive review. All opinions are my own. Kings Island, arguably Cincinnati’s most famous tourist destination and the largest amusement and waterpark in the Midwest, is almost literally in my blood. My parents met and fell in love while working there as teenagers, and got married shortly thereafter. 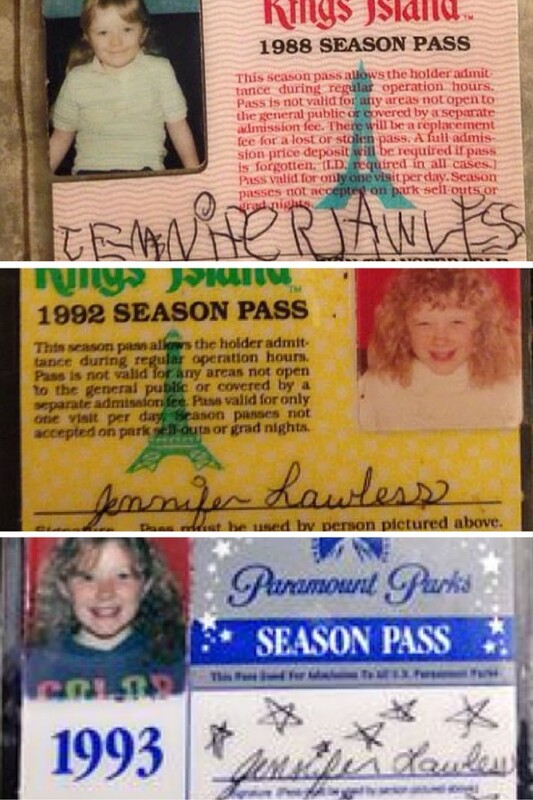 We stayed in Cincinnati as I grew up, so I have had a season pass every single one of my 32 years. Now my family is just moments away from the front gates when we leave our neighborhood, and my kids can’t remember a summer that we didn’t go often. 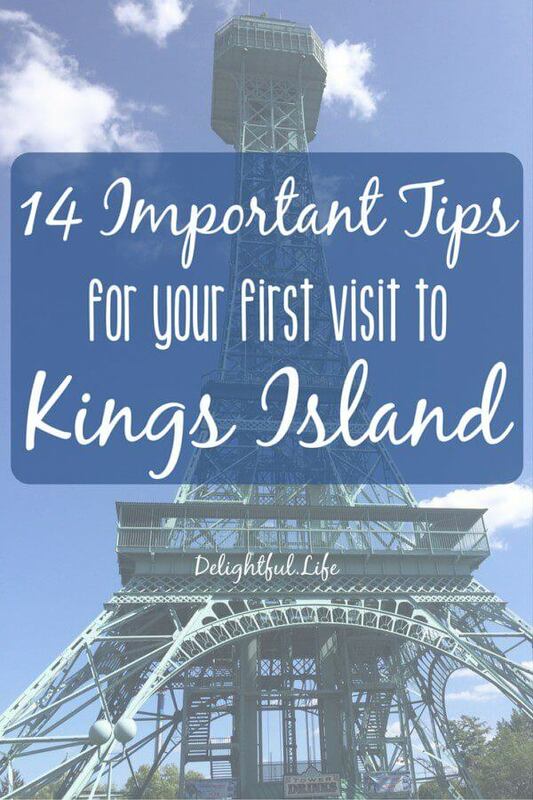 Kings Island has almost twenty thrill rides, a dozen family rides, one of the largest kids areas in the world, and dozens of other attractions, and I will admit – I experienced a bit of giddiness walking through the gates last week that I am not sure I ever recall feeling. When you grow up spending hundreds of hours somewhere, it’s easy to take it for granted, isn’t it? Walking in with family and friends that had never experienced the park made me notice things I hadn’t before, such as the music playing outside the gates – including a super fun brass quartet! I stopped quite often just to look around, much like we tout doing at Walt Disney World, and took in many of the details that are so easily overlooked when you’re in a routine. Sure, there aren’t the in-depth backstories that are offered at Disney parks – but the opportunity to slow down and really take it all in can make for an extra special visit! 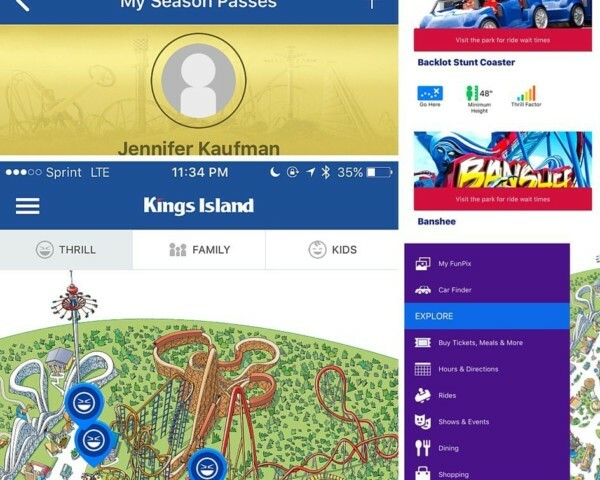 Download the Kings Island app. Ok, so this doesn’t seem super fun… but especially this year, I’m very impressed with all the app has to offer. Save your admission tickets on it (or even on your Apple Watch! 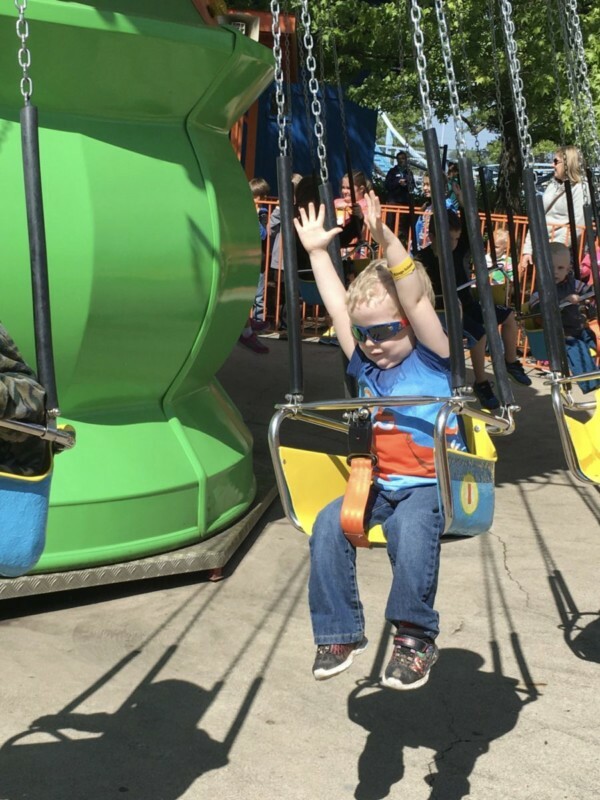 ), make a note of where you parked so you don’t have to remember all day out in the sun, see ride times and height requirements, add fun borders to your in-park pictures, and so much more. The park’s free wifi network, spotty in the past, also seems to have gotten a serious upgrade this year. You can even tweet with @KingsIslandPR to get many of your questions answered before and during your visit! Don’t forget to share your memories with the hashtags #KIBestDay and #KIDinos! Get your tickets in advance. The best publicly available prices, hands-down, are available in advance via the Kings Island website. You can save more than $20 per person by buying in advance! Consider purchasing a “FastLane” upgrade. 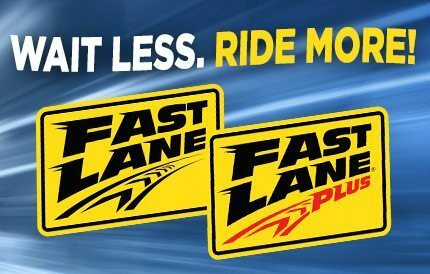 We have never experienced Fast Lane since it is an additional cost ($53-$68 in 2016), but my husband and I have always said it would make a lot of sense for guests visiting one or two days only – especially on days with high attendance. There are a limited number of wristbands sold for entrance into the Fast Lane queues, and I’ll be honest – we pretty much never see anyone waiting in them. If you’re there for a day and want to accomplish a lot, this is one of those “time is money” situations where it may be of great value! Take in the unique shops offered along International Street. Kings Island has had an interesting history, with several buyouts and changes of ownership. When Cedar Fair (most widely known for Cedar Point in Sandusky, Ohio, and Knott’s Berry Farm in Buena Park, California) took over, I have to say that I was temporarily unimpressed. Sure, they added a few coasters and all of the attraction names changed from movie themes (copyrighted, of course, by former parent company, Paramount Pictures). But for quite some time, shops and attractions seemed to close left and right, things were left in disarray, and what did remain seemed incredibly homogenous, having been to several other Cedar Fair parks. In the last two seasons, though, Kings Island has received some much needed attention. This season especially, we were impressed to find updated theming throughout the park (and especially in the Rivertown area!). 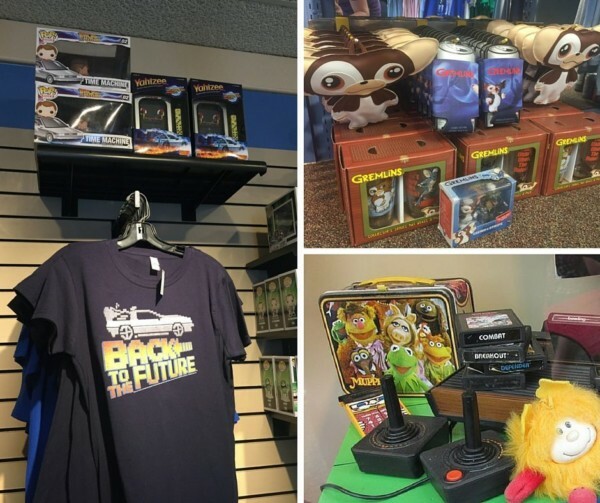 On International Street you’ll find, among other gems, an “I love the ’80s” store, a super fun candy shop, and local favorites such as Graeter’s Ice Cream and LaRosa’s pizza. See some of the unique live entertainment. New this year, don’t miss “JUMP! The Ultimate Dog Show”, featuring incredible stunts performed primarily by rescued dogs. There is also the incredibly popular show, “Origins: a Cirque Experience”, live instrumental and vocal performances throughout the park, and my kids’ new favorite, “PEANUTS Party in the Park” – a hybrid show/dance party in front of the Eiffel Tower, followed by a meet and greet with your favorite Peanuts characters. Get a birds’ eye view from the Eiffel Tower. 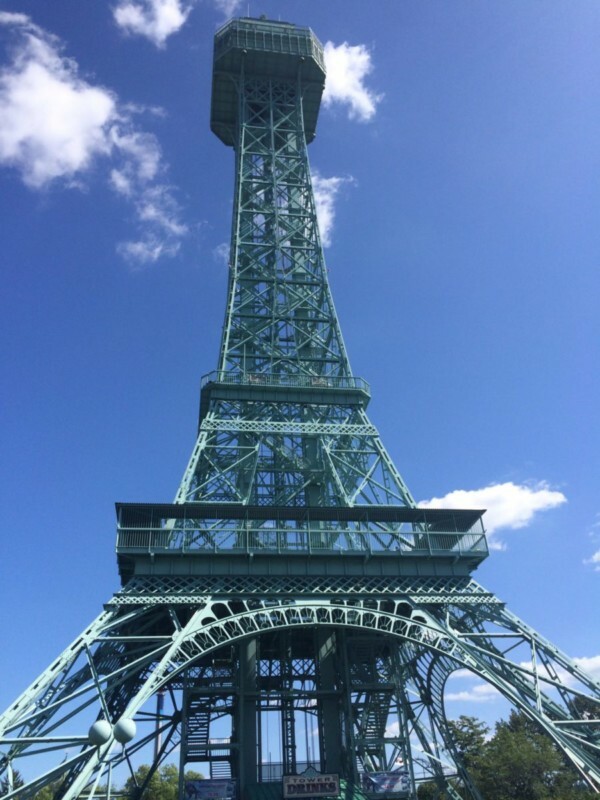 At 315 feet, the Kings Island Eiffel Tower is a 1/3 replica of the iconic landmark found in Paris, France. Visitors can take the elevator up 275′ to a viewing platform, to get an incredible view of the park and surrounding towns. 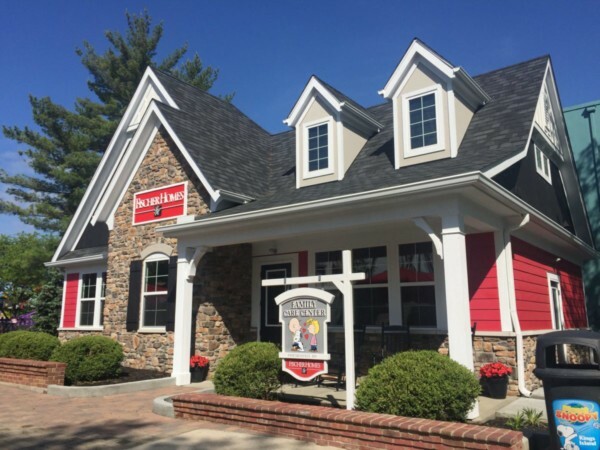 Don’t overlook the Fischer Homes Family Care Center. In addition to the First Aid center that has been around for decades (and still provides excellent care! ), there is now a beautiful new “Family Care Center”. Very much like the Baby Care Centers you know we adore, the center offers restrooms, charging outlets, televisions, refrigeration, hot water, full-size changing stations, and more – all at no additional charge. Purchase the All-Day Dining Plan and a refillable souvenir cup. We have a similar, season-long plan for passholders – but the dining plan is something you should consider, for at least some tickets in your party. For just $29.99 you can get a meal every 90 minutes, from more than a dozen excellent restaurants throughout the park. There are two options for refillable souvenir cups; if you’re attending just one day, purchase the green cup that allows $0.99 refills. You’ll receive free refills all day on the day of purchase, and if you do decide you just have to come back, refills are available at a steep discount the rest of the season! Be sure to seek out the beverage refill stations if you’re just looking for a drink. They have the most options anywhere in the park, often 2-3 times the selection at a given restaurant. 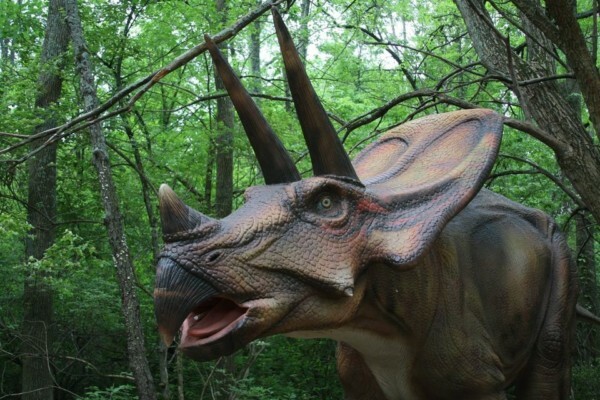 Hang out with practically-real Dinosaurs. When Kings Island announced Dinosaurs Alive! I’ll admit I was a bit skeptical. This truly is a world class attraction though, especially if – but not only if – you have dinosaur fans in your party. Spread through a 12.5 acre plot of land, you’ll encounter at least 65 animatronic dinosaurs that look absolutely life-like… or at least, I assume so. I haven’t actually seen a dinosaur elsewhere, but they’re pretty incredible. Please note there is a nominal fee for this attraction for non-passholders. I think it’s worth it at least once though, as did those in our party! Also note that the dinosaurs do move and occasionally roar. When my kids were younger they were intermittently frightened, but quickly distracted by other things along the path. 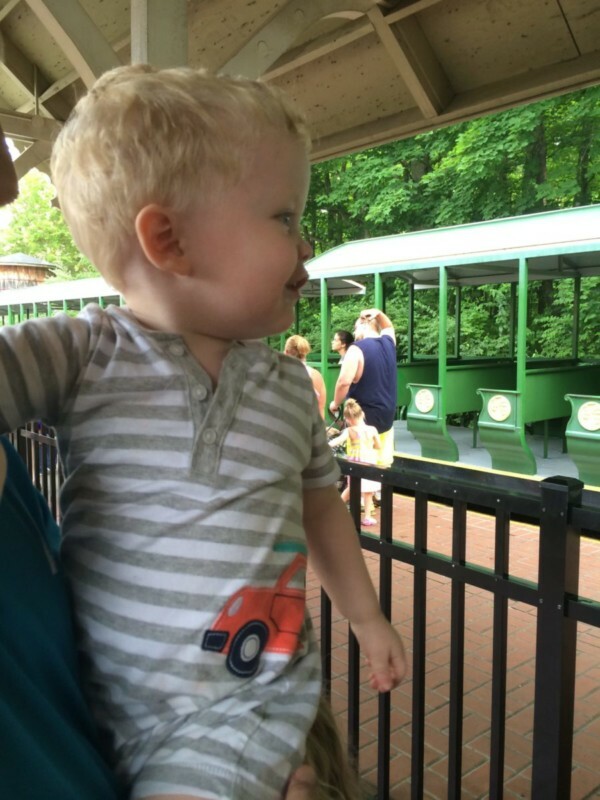 It was still an enjoyable experience, even with younger guests, but be advised that you may want to talk through the adventure ahead of time and along the way with more apprehensive kiddos. 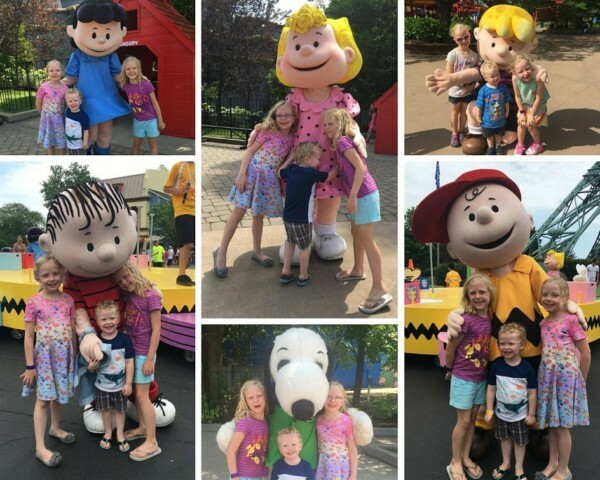 Visit Planet Snoopy. 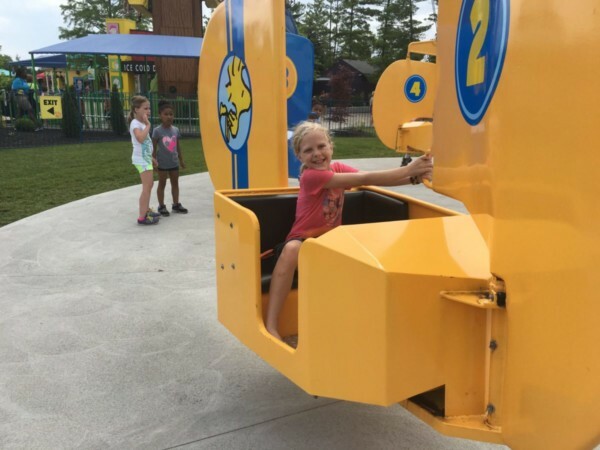 If you have any kids in your party, you simply cannot miss the kids area that has won the Best Kids Area Golden Ticket Award from Amusement for 15 years straight! 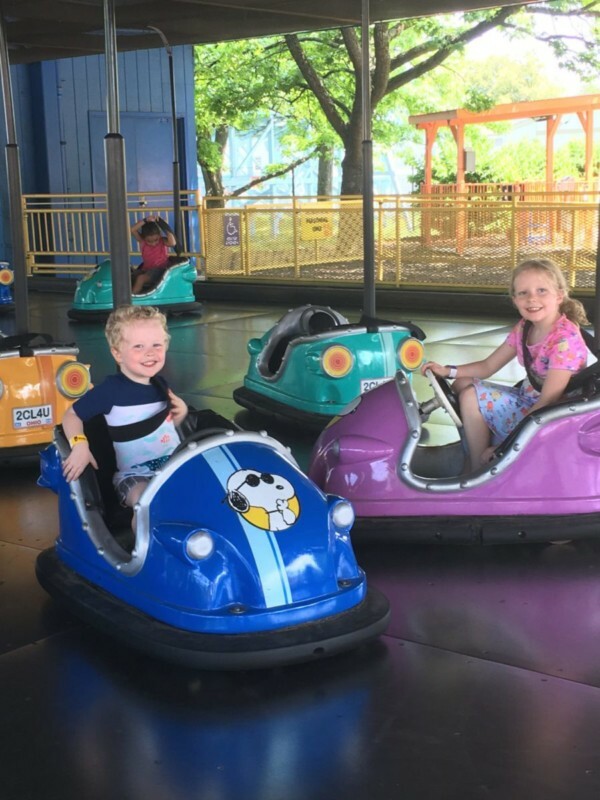 It has dozens of rides for kids of all ages, and several the entire family can enjoy together! Eat blue ice cream. 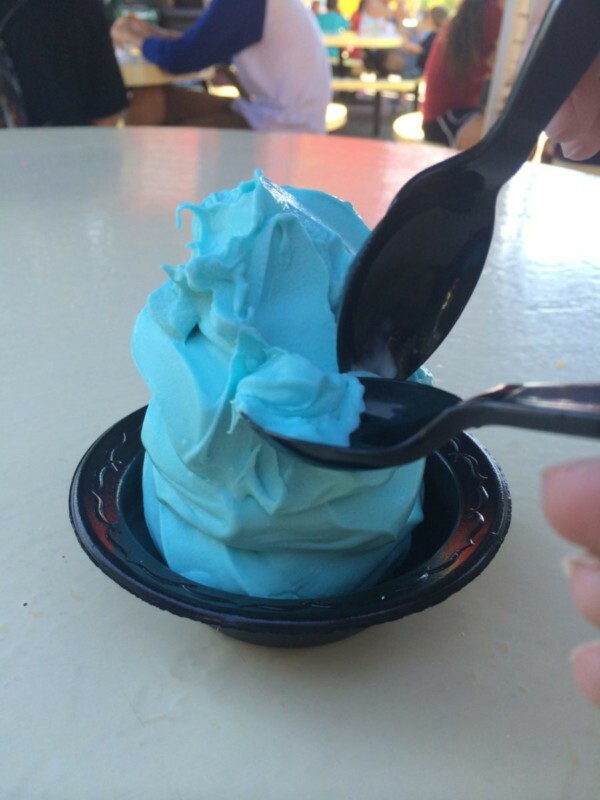 Kings Island’s blueberry soft-serve ice cream has been a staple for locals since they began serving it as a tie-in to the Smurfs Enchanted Voyage ride that was part of Hanna-Barbera Land. I swear it changed flavor two years ago, but no visit is truly complete without a big serving of the blue stuff. Once available in just one location, now you can find it in a handful of places throughout the park, as well as in Soak City. Ride the Beast at night. 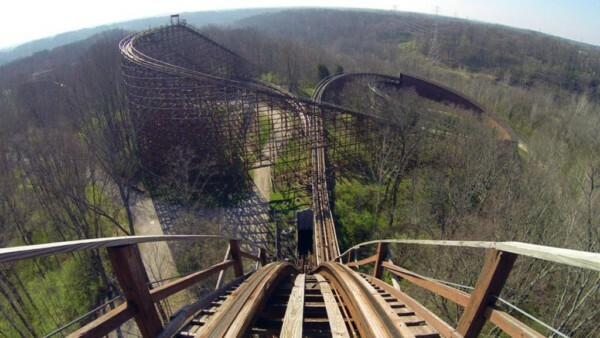 When it was built in 1979, The Beast was the tallest, fastest, and longest wooden roller coaster in the world. After more than 30 years, it is still one of most renowned roller coasters anywhere, among coaster enthusiasts. Thrill seekers will get an extra special experience riding this one after the sun goes down. As you make your way through the woods, the darkness, speed, and quintessential roller coaster sound of a wooden track may just be your favorite 4 minutes of the day. Stay for the fireworks. While we can technically see the fireworks from our master bathroom, I have to say – it isn’t quite the same as experiencing it in park. Reading on The Delightful Life, a site owned by rabid Disney fans (and in a town that has one of the largest fireworks displays in North America each year! 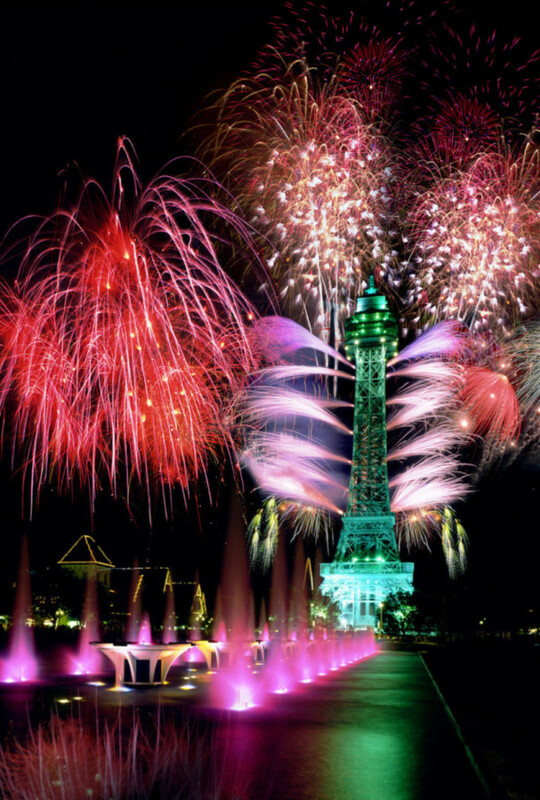 ), visitors may be tempted to skip the evening fireworks show at Kings Island. If you’re able to stay up though (or even return to the park after resting at home or in a nearby hotel), it really is a magical way to end a day in any amusement or theme park. Fireworks can be seen throughout the park (and if you’re in line for a ride, you’ll still be able to ride after they are finished! ), but the best viewing areas are along International Street. c. Cincinnati USA. BONUS: Click for their listing of local fireworks displays! Consider upgrading to a season pass. If you’re local (or local enough) and would return to Kings Island just one more time this season, the passes pay for themselves in just two visits. Some options also include season-long dining plans, merchandise discounts, free parking, and other additional benefits. Keep in mind – you don’t have to live 4 minutes away to make this worthwhile! We have at times held annual passes for Walt Disney World, Disneyland, and various Cedar Fair parks despite being hundreds (or thousands) of miles from them. All it takes is a little number crunching (and in this case, it’s been done for you!) to see if you’ll go enough to offset the cost. 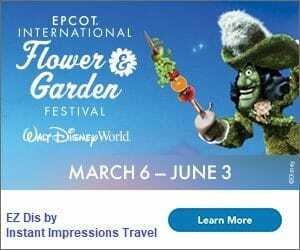 BONUS: If you’re used to visiting Disney Parks and are looking for a touring plan to get you started, here is one you should check out from CP Fan Site and the Coaster Crew. I haven’t personally tried it, but I have read through it and think that if you are overwhelmed with where to begin, it should offer excellent advice throughout the day! 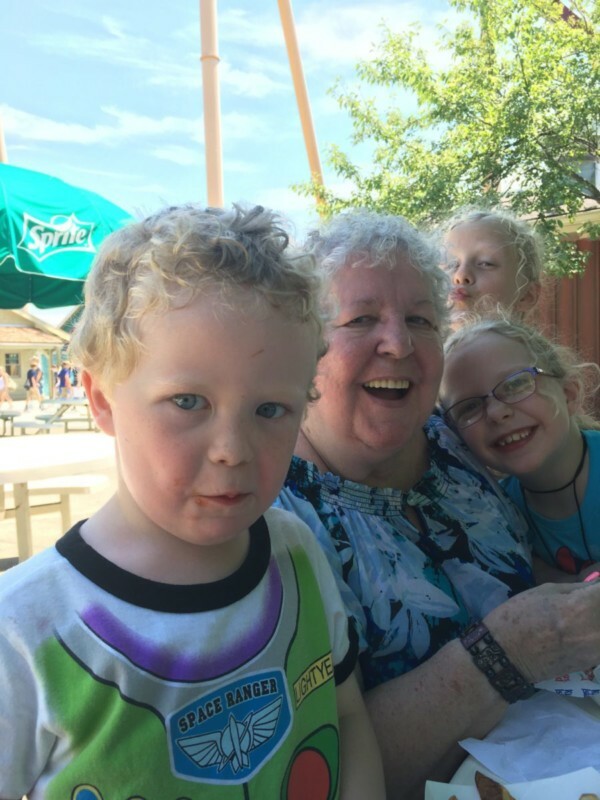 I’ll be honest, it was probably the most fun I’ve had in a long time watching my grandmother recall all the fond memories she had with her kids and grandkids at Kings Island, and to watch her create new memories with her great grandkids. We also took with us a mother and daughter who had never been, who experienced it with the joy only a child (or perhaps a parent, observing her child) can show. If you’re still not sure whether this is the year for your family to visit, be sure to consider these 100 reasons to visit. If you are ready to plan your trip, get hours and directions here. Get answers to questions you may have here and here, and purchase your (discounted!) tickets here. If you really want to splurge, I also just came across these VIP tours, which are actually quite reasonable for what you get; talk about experiencing everything! Let me know if you have any questions by asking in the comments below. 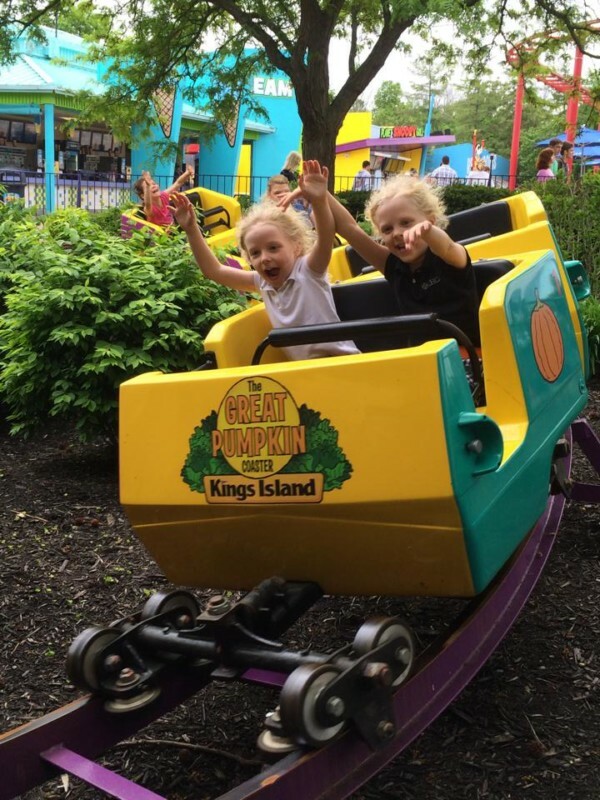 Until then, have fun planning your first (or hundredth) visit to Kings Island!